Dig deeper with a by-the-numbers glance of the Kentucky Crossroads region and Labor Market Area, as well as state and national comparison data. It all boils down to a quality workforce. Learn more about what Kentucky Crossroads has to offer your company in the talent recruitment quest. 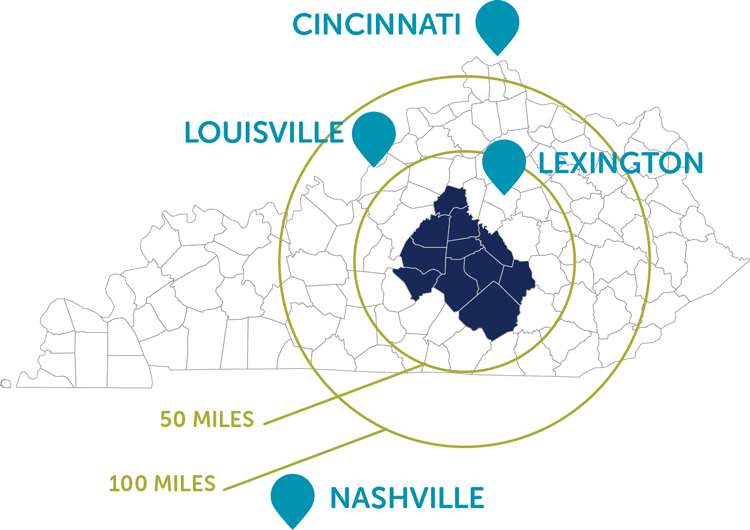 Kentucky Crossroads’ diverse and dynamic industry base is poised for growth. Find out which target industry sectors are on the rise. Our 11-county region is focused on making your site selection or expansion decision an easy one. 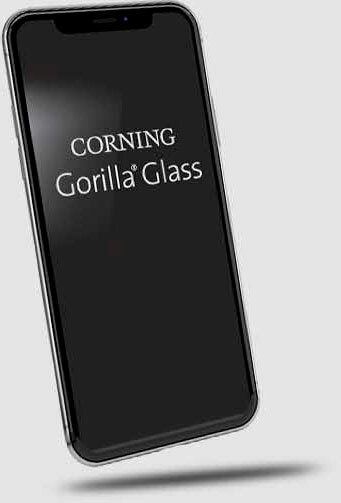 Corning, the maker of gorilla glass, calls kentucky crossroads home. For more than 165 years, Corning has combined its unparalleled expertise in glass science, ceramics science, and optical physics with deep manufacturing and engineering capabilities to develop life-changing innovations and products. Corning is one of many world-class companies that call the Kentucky Crossroads region home. Find out who else is making an impact. The World is Coming to Kentucky Crossroads. It’s no secret that being located close to current and potential customers is a key advantage when competing in a global economy. 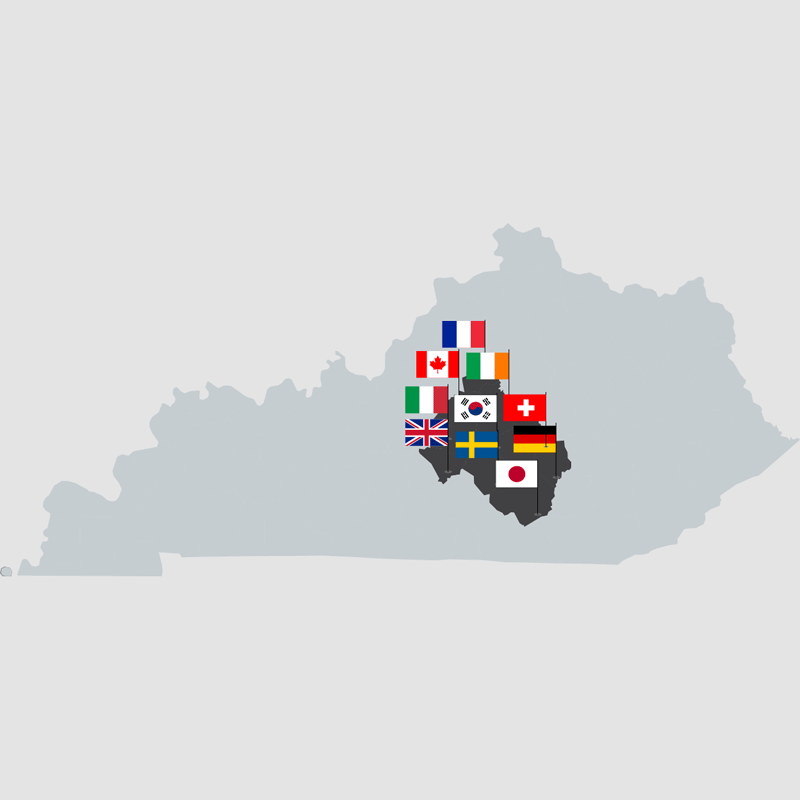 That’s why nearly three dozen internationally based firms have put down roots in the Kentucky Crossroads region. 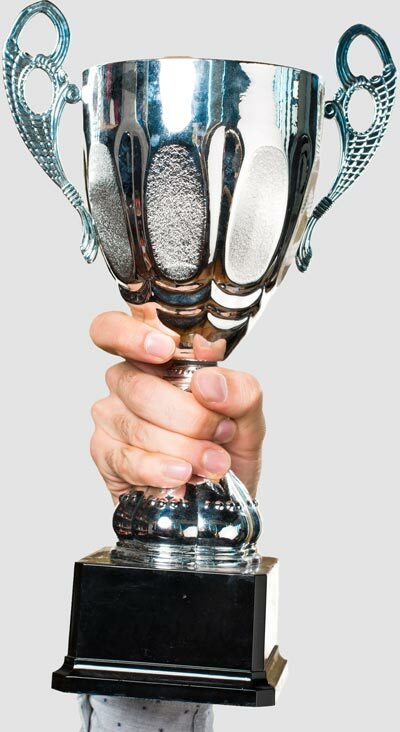 Companies like Hitachi Automotive Systems from Japan, Wild Turkey from Italy, Meggitt Aircraft Systems from France, INFAC North America from South Korea, Montebello Packaging from Canada and so many others have all found success here. Find out who else has made Kentucky Crossroads their U.S. home. There’s just too many great things to share about our region. From top ranked colleges and Work Ready Community achievements to community innovation awards and multiple national economic development rankings, it’s no wonder Kentucky Crossroads is celebrating nearly 4,500 new jobs and $1 billion in new capital investments over the past five years.